Would you rather make more or less money a year? "More" would seem to be the obvious choice, but the better answer is: It depends where you live. A smaller salary can sometimes buy you a lot more in a city with a lower cost of living. Take software engineers. Jobs site Hired found they make a lot in San Francisco, but they can live better -- making less -- in most other major U.S. cities. They can command an average salary of $132,000 in San Francisco versus just $110,000 in Austin, according to data from Hired. While pay will be $22,000 less, it can buy a better quality of life. In fact, you would need to make $195,000 in pricey San Francisco to live as well as you could making $110,000 in Austin, Hired estimates. 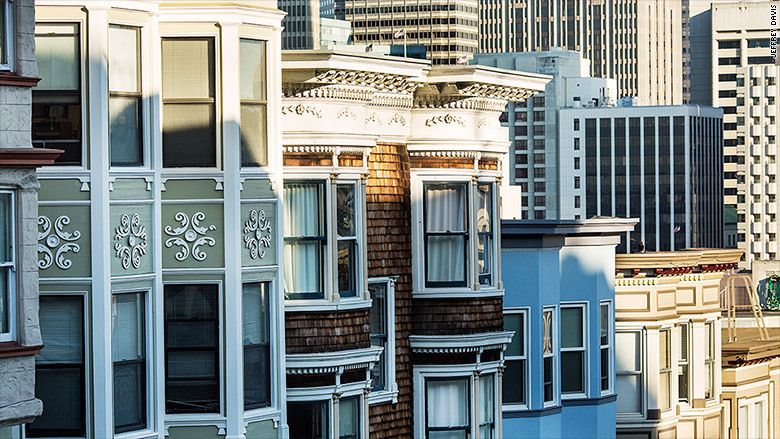 The same cost-of-living principle holds true when you compare San Francisco to nine other major U.S. cities. For instance, according to Hired's analysis, you'd need to make $180,000 in the City by the Bay to afford the same quality of life you could have in Denver earning $116,000. Or $155,000 to live as well as you could in Chicago, earning $108,000. Or $163,000 to live as comfortably as you could in Atlanta, earning just $96,000. But that doesn't mean you should never work in San Francisco. Hired found that those who start their software engineering careers there command a higher salary when they move to another job market than do candidates from other cities. How much more? Take Chicago. The average offer made to an engineer relocating from another city is $116,000. The average offer made to a local candidate? $105,000. The average offer made to a San Francisco transplant? $125,000.